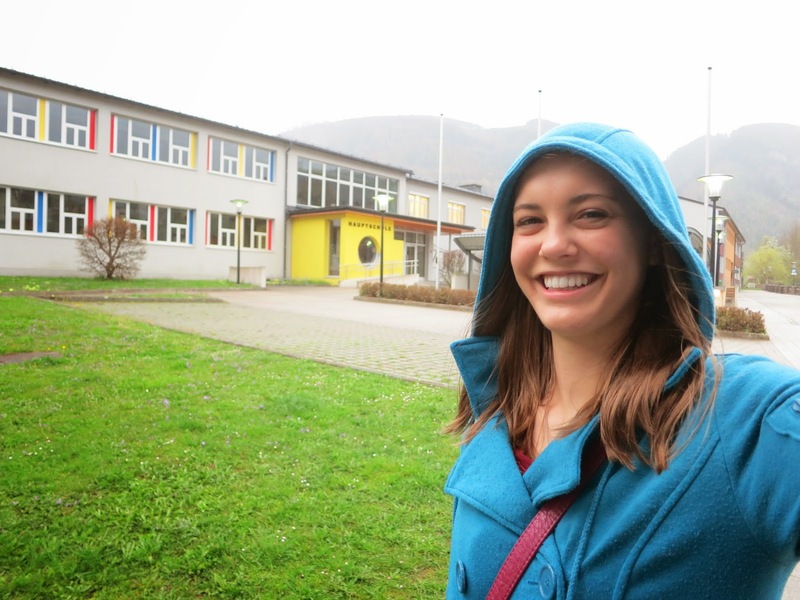 I had the recent opportunity to visit our daughter, Kim, in Austria. 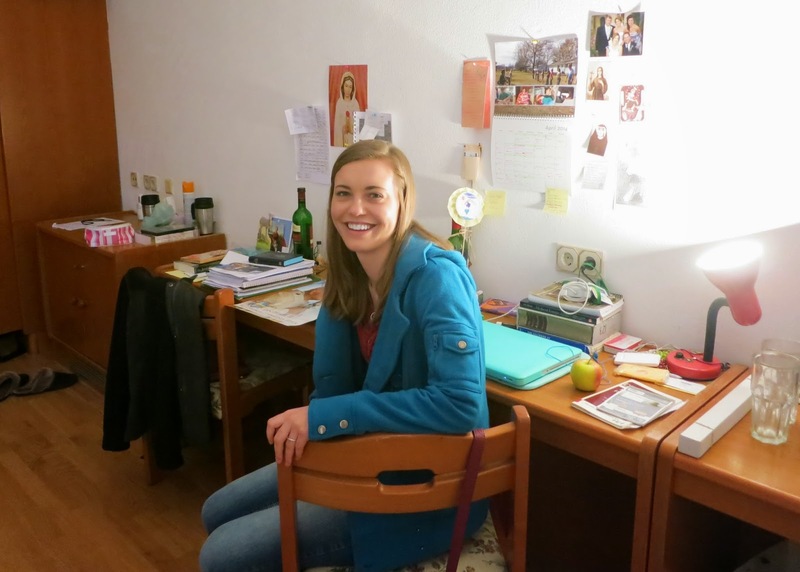 Kim is spending this semester in Gaming, Austria as part of Franciscan University’s study abroad program. were here they turned the church into a horse barn. goes to once a week to help teach an elementary English class. Last fall Steve and I had discussed visiting Kim during Parents Week. At the time we only had one full-time employee and knew it would be impossible for either of us to be gone for a week. Fortunately for me we added a new employee in April. I shared with Steve that Kim was asking if I was coming to visit and he was open to discussing the idea of me going to Austria. 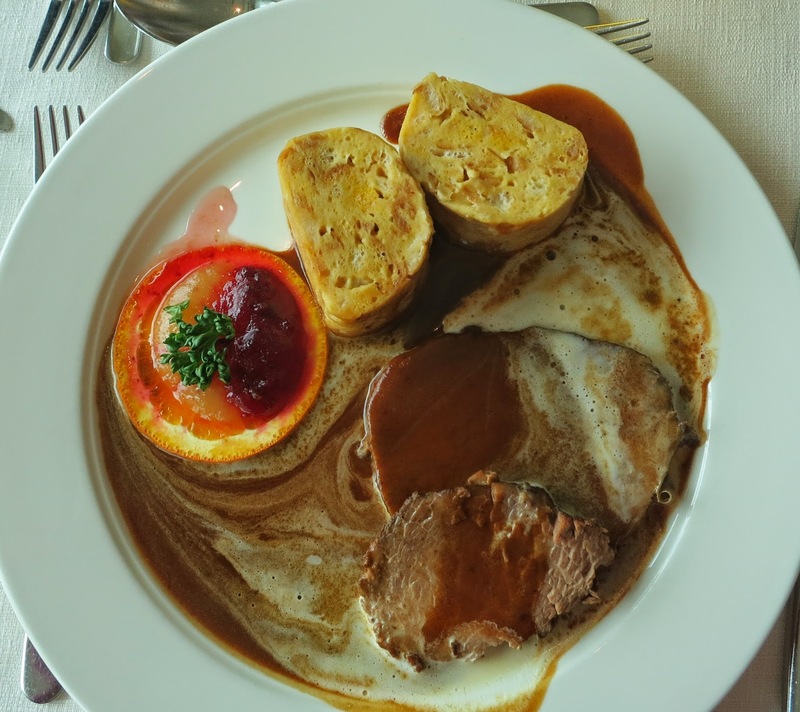 Everything fell into place and within a couple of weeks I was off to Austria. my table in my hotel room. The hotel is part of the monastery grounds. 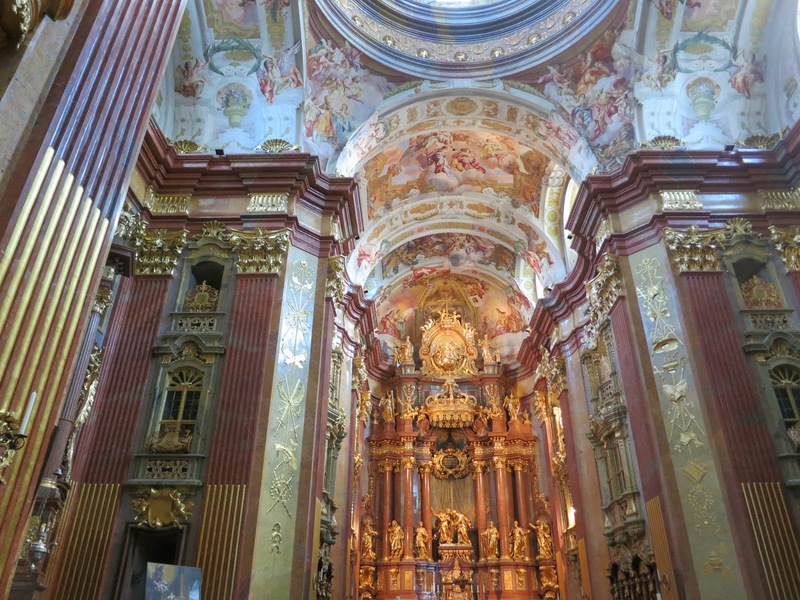 The Parents Week package included day trips to nearby churches and a concentration camp. There were many components to my experience that touched me spiritually, emotionally and academically. ability to share the spiritual experiences I was blessed with. 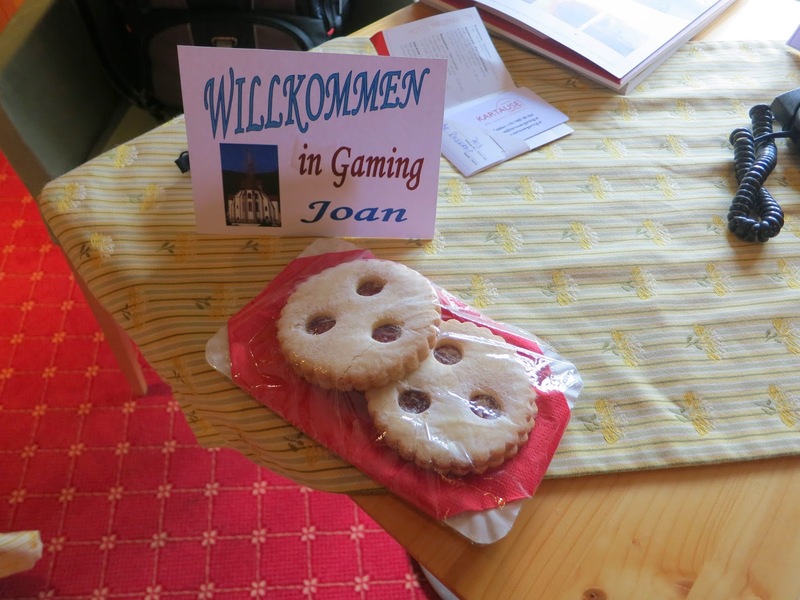 Our group traveled in a small bus each day to the different towns and then back to Gaming each night. 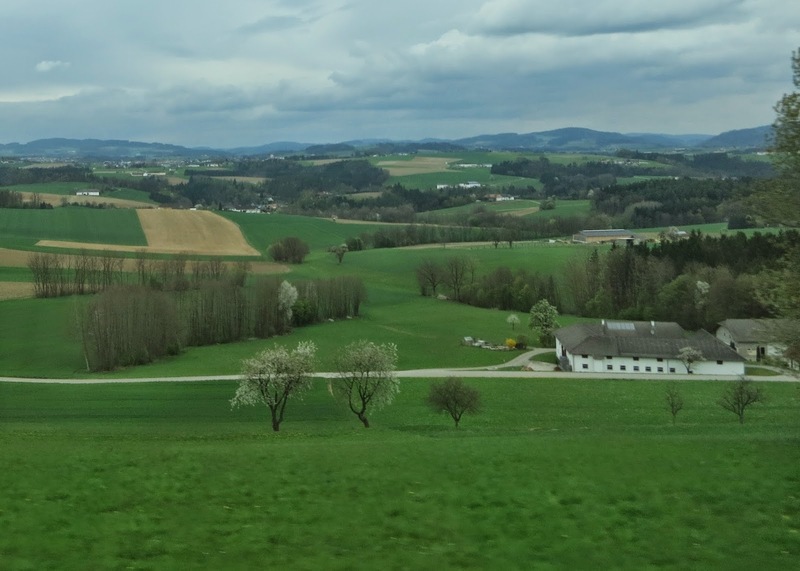 We were able to admire the countryside from the bus’s large windows. The rolling hills were breath taking with the foot high wheat fields, perfectly trimmed hedges and flowering Pear trees. Every farm was neatly kept as well as the yards in each town we went through. Another parent and I started to wonder if there were any Austrian’s with a messy yard or a junk pile in the trees. pictures from other parents that were on the trip. We also saw numerous rows of stacked wood and they were perfectly straight. Kim informed me later that the students were told never to take wood from those stacked piles as they belonged to someone else. I asked a few locals about the tidiness whenever I could. The response was the same, “it’s an Austrian thing”. In Austria the people take great pride in keeping their yards and farms neat. A young woman from Vienna shared with me that the junk is sometimes be stored inside the barn as well as the cows and machinery. She looked surprised when I commented that I didn’t ever see a tractor or implement sitting outside. bread dumpling with homemade cranberries. 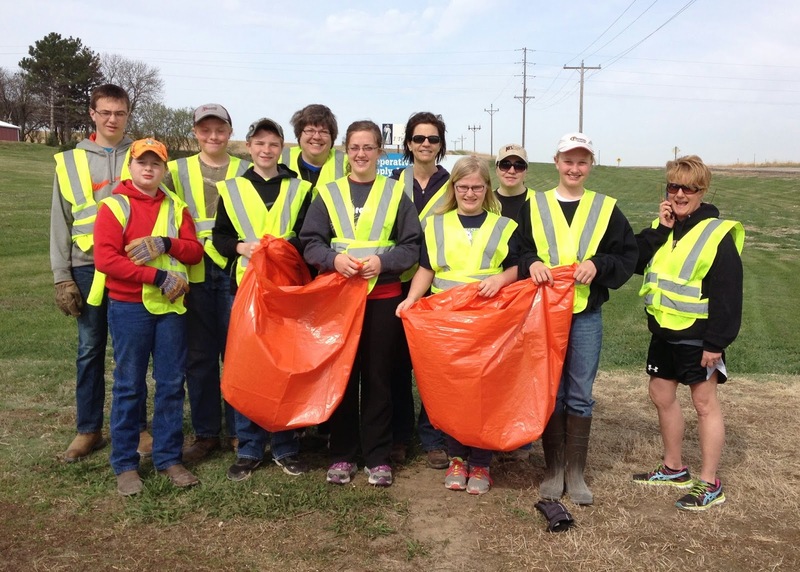 The cleanliness of Austria really hit me again when our 4-H Club was picking up trash along a highway near Dodge. Every year we gather trash on a total of four miles of highway. We usually collect at least a dozen very large garbage bags of trash. Most of the trash consists of aluminum beer cans. I wonder why we can’t have an American thing of respecting our environment enough to stop littering. Our highway clean up crew! Our own hills in Nebraska are alive with green grass, flowering ornamental trees and flowering spring bulbs. It is important to me that we each do what we can to leave the world better than we found it. 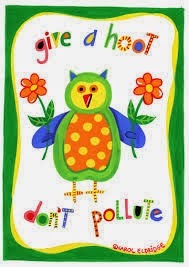 When it comes to something as simple as littering maybe we can utilize the popularity of owl décor we can bring back the slogan “Give a hoot, don’t pollute”.